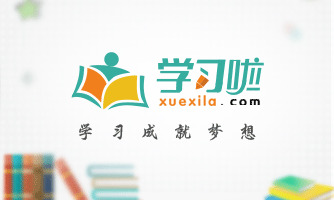 My name is Liu Ying and I will graduate from Xi’an University in the year of 2010. My major is secretary in English department. It’s my great pleasure to have this opportunity to improve our mutual understanding. During the three –year college study，I tried my best to learn all kinds of knowledge，and weigh the hard work of my teachers and myself; I have mastered English listening，speaking，writing and reading skills. Moreover，I have a good command of Business English and the basic theory，public relationship of secretary. Meanwhile, in order to enlarge my knowledge, I always read some newspapers and magazines about business and trade， and I used to do some representative of business in my spare time. At the same time, I learnt computer skills during my summer vacation，and now I’m familiar with Office 2000. It is my three –year college life that makes me form my life attitude. Also my three-year college life that makes me rich in knowledge，and it’s also my three-year college life that makes me form my life attitude. Honesty, Trust, Diligence is principle of how to be a man. As a college graduate，I believe “where there is a will, there is a way”, and I will try my best to do a good job in my business. So I sincerely hope that I can make a position in your company so that I can serve for the company in the future. i happened to have read your advertisement and decide to apply for the job.